This is a fantastic deal to grab! This would make a wonderful gift idea for a kid on your holiday shopping list! You can get the Enkeeo No Pedal Balance Bike with Bell and Hand Brake for only $46.99! That is a BIG savings of 66% because this balance bike is normally $139.99! This balance bike is designed to help your child develop essential bike skills such as balance, steering, and coordination. Make sure that you snag this deal on Amazon soon because the prices can change at anytime! 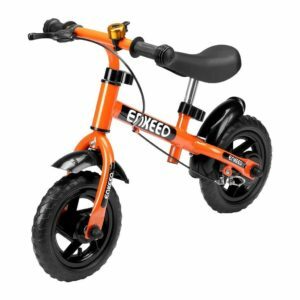 CLICK HERE TO ORDER the Enkeeo No Pedal Balance Bike with Bell and Hand Brake for only $46.99 today!